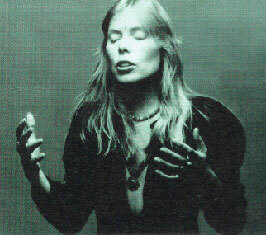 This accompanied the 2002 release 'Travelogue' and was featured opposite the lyrics to the song 'Refuge of the Roads' which was written about Joni's meeting with the Buddhist Lama Chogyam Trungpa in 1976. 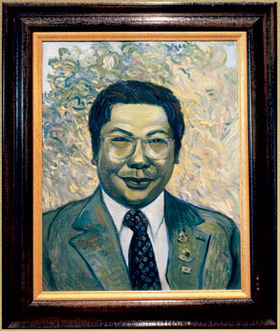 If you would like to know a little about the Chogyam Trungpa Rinpoche, the subject of the portrait, Watch "Crazy Wisdom" on Netflix. Mr. jamiezoob I respect your bias judgement why can't you respect my opinion? 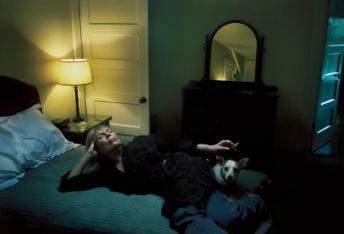 Joni Mitchell has some very good art work but this is in poor taste and shouldn't have been never displayed for the public and should have been kept on her refrigerator. I seriously doubt it Willie. Faceless, Godless, Poor, A twelve year old could paint a better portrait.